I loved Incarceron so very much! I know there are people who felt lost while reading it, but I was in my element from the moment I opened the first page. It made me love Sci-Fi all over again. So, of course I had to read the sequel! I apologize for the vagueness of this review. Keep in mind the release date for this book is still far off and I don't want to ruin it for any of you. Reader be warned. 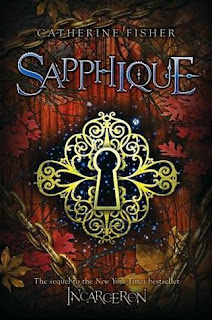 Much like it's predecessor, Sapphique is heavy on descriptive language. If you had a hard time navigating the first book, you might have difficulty with this one as well. I suppose that's true of any book that takes place in two completely different worlds at the same time. However, one thing that aids the reader this time is a knowledge of the prison and the prisoners within. Previous knowledge is your friend in this book! The twist in this book (which I shall not spoil) was completely intriguing! An audible gasp escaped my lips when I found out what this book was building up to, and I have to say I was impressed. In the vein of true science fiction love, this book makes up its own rules and creates its own image so that it can turn around and surprise you in an instant. Truth be told, if it wasn't for Catherine Fisher's writing I think I would still be skirting around the edges of my once favorite genre. These two books have pulled me back in for good! Sadly, there was one thing that bothered me. If you'll recall from my Incarceron review, I absolutely loved Claudia. She was so stoic, so strong and so very willing to do whatever it took to get what she wanted. That being said, I was a little let down by her character in this book. The certainty and ability to make split decisions that she exhibited in the first book were long gone. Honestly, the one thing that helped me along was the reminder that her father was no longer there to keep her on her toes. Those who have read the first book will understand my thought that the Warden is half of Claudia's character. Without him present she is a whole different person. Who do I recommend this to? Lovers of science fiction, and of course lovers of the first book! 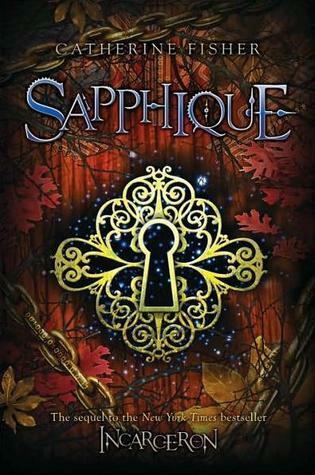 If you were smitten with Incarceron I can almost guarantee you'll enjoy this book. I haven't been able to find any information as to whether or not there will be a third book, but I hope so! I'd love to see more of Claudia and her counterparts.